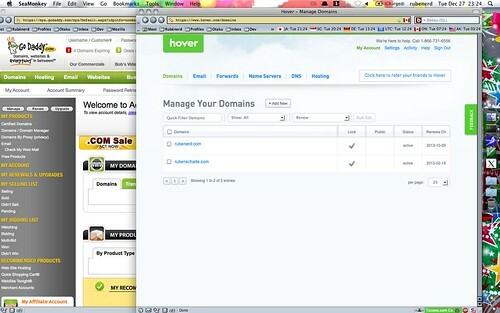 I'm a month early, but I decided to get ahead on my NY resolutions and start transferring my domains from GoDaddy to Hover. So far, so good. Screenshot by me on Flickr. I was about to launch into a technical discussion of what transferring entails, however I'm half asleep and the super fabulous Dave Winer already wrote all you need to know. He's complimented me once and insulted me twice, which if you know the guy well enough is high praise ;). The only step where I differed was his assertion that GoDaddy's transfer confirmation email only includes a link to cancel the transfer, not approve it. This is no longer the case; they provide a link to the page where you approve or cancel transfers. Every man and his dog is talking about this, so nothing I really could say would be anything new. What I will mention however is the difference between the number of emails I received from Hover, and from GoDaddy. SORRY TO SEE YOU GO. WE’LL ALWAYS WELCOME YOU BACK. I suppose the onus is on GoDaddy to confirm what could potentially be an elicit transfer, but still an interesting comparison. I'll be expecting far less spam from the folks at Hover. Before you go, here’s some upselling! P.S. Visit GoDaddy.com and SAVE 15%* off your order of $50 or more. 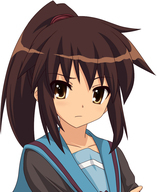 Just use source code [gibberish] when you check out to get your special savings. Start shopping now at GoDaddy.com or order by phone at (480) 505-8821. SAVE 15% OFF* YOUR NEXT ORDER OF $40 OR MORE AT GODADDY.COM! That was the same offer code as the $50 dollar deal above. It's as if they're bargaining with me. Block others from getting your domain name. Make money with your parked domain! I wonder if they expect to win much business back with those exact same tactics? Not that I'm suggesting anything, but the sign of insanity is doing the same thing and expecting different results. In the meantime, I'm really enjoying Hover :).